A new year brings an opportunity to start fresh, especially when it comes to your roof! If your roof is over 15+ years old, is showing signs of age or has any of the warning signs below it may be time to upgrade! One easy way to know if your roof has reached its maximum lifespan is to call for a professional inspection. Our experts can tell you about how many more years you can expect out of your roofing system or if it should be replaced now. The shingles on a roof are designed to stay put but can loosen and wear out over time. Missing shingles are a warning sign that your roof may have reached its maximum life and should be corrected ASAP. Any area of your roof that is exposed to the elements can allow water to enter your home and cause costly leaks. The sun’s ultraviolet rays and heat can do a number on your roof. During the summer the temperature alone is hot enough to cook an egg! 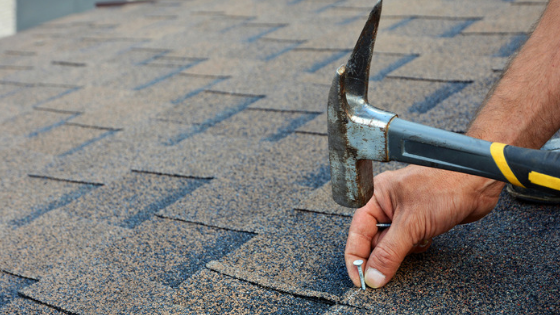 Over time, your roof’s shingles can become brittle and crack or curl. These areas become weak and can allow water to enter your home. Keep in mind, this type of damage cannot be seen from the ground, and it’s best to call a professional to avoid falling off your roof. Is your neighbor getting a new roof? Is so, you should probably request an inspection ASAP. While this isn’t the most reliable way to know if you need a new roof, it is definitely worth taking note of since your home was probably built around the same time theirs was and exposed to the same amount of storms, weather, etc. Most roof shingles are covered with a fine, sand-like material. These granules help block ultraviolet rays from getting to the lower parts of your roof. Over time, these granules can weaken and fall off. They can also be knocked off in extreme weather events. Rain and wind can wash these granules down your roof, and they often end up in gutter downspouts and in your driveway. Excessive granule loss is terrible for your roof and is usually a sign it needs to be replaced. If large trees shade your home, you may notice leaves and other organic buildup on your roof from time to time. This buildup is not good for your roof and causes moisture to build up underneath it. Over time this can allow moss to grow which can damage your roof system. In addition, airborne algae can grow on your roof and is visible in large brown spots or patches. While not necessarily harmful, this algae buildup is unsightly and can lower your home’s curb appeal. Most modern shingles have built-in protection to prevent this. Remember, the easiest and best way to know if your roof has reached its maximum lifespan is to call for a professional inspection. Ready to get started? 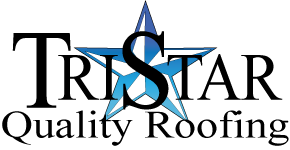 Give us a call today at (940) 435-0616 or use our online contact form to schedule an inspection.